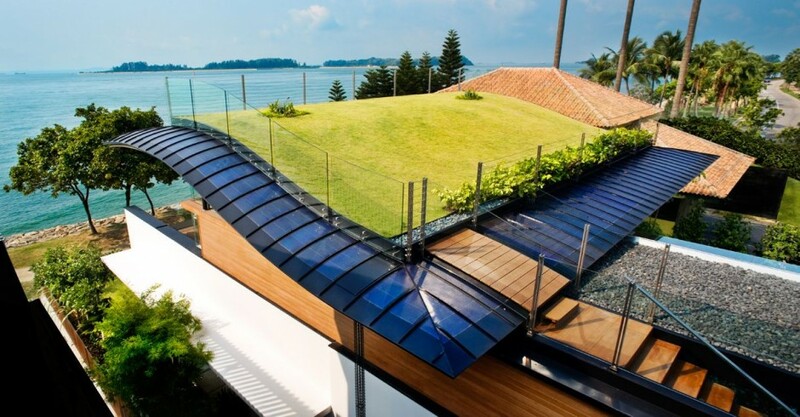 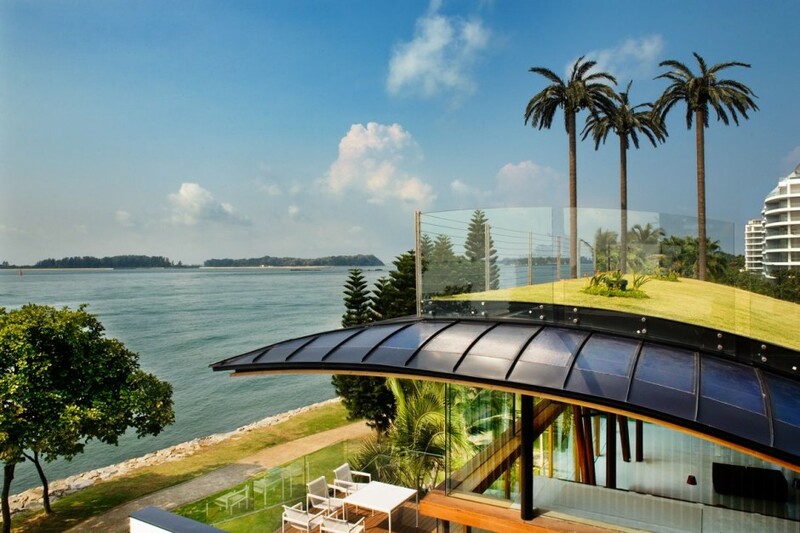 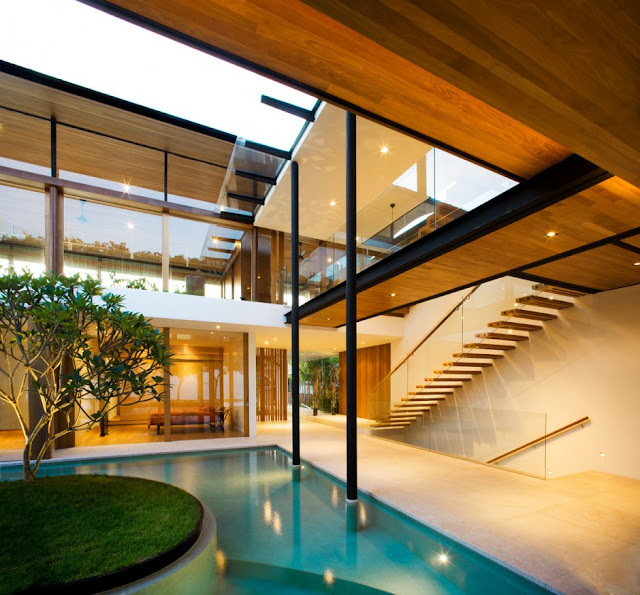 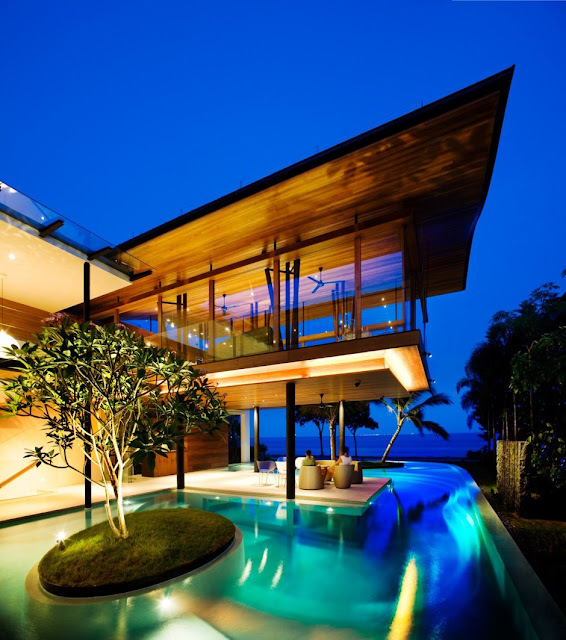 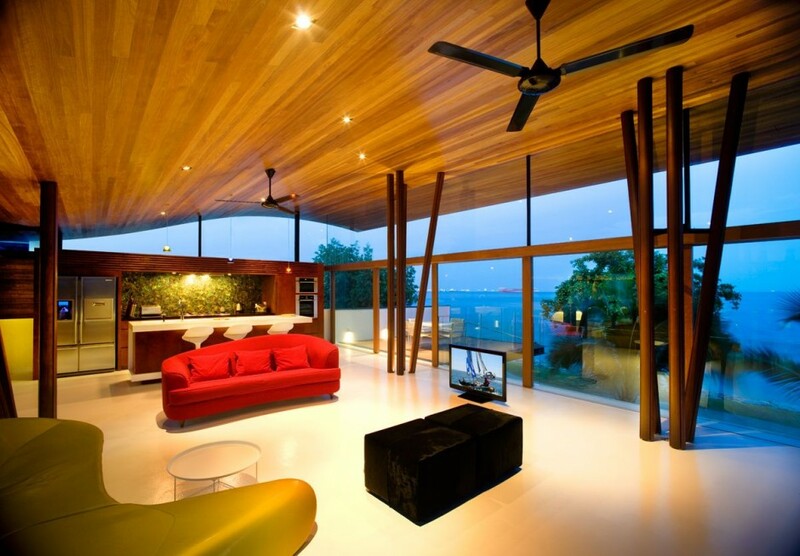 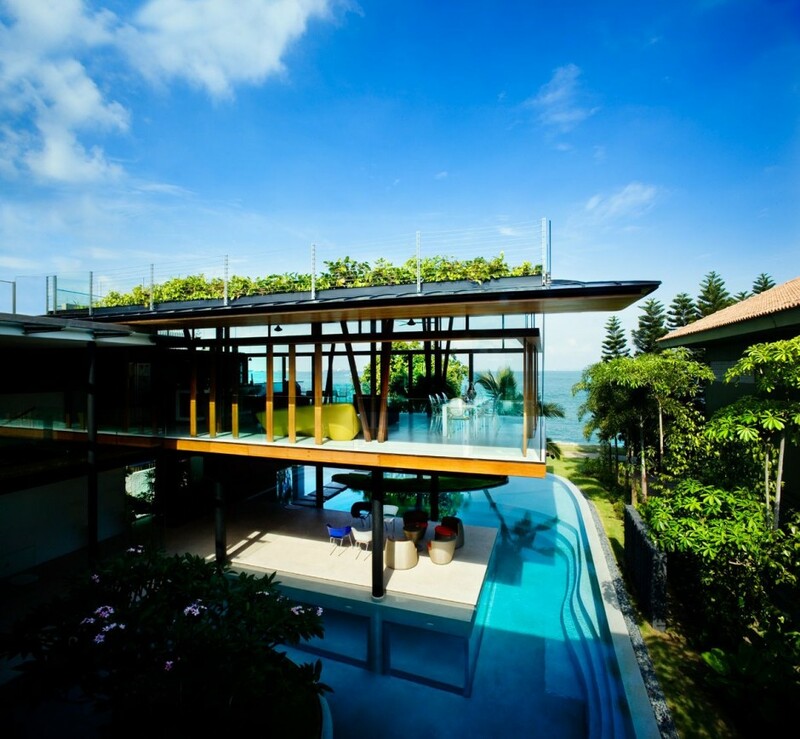 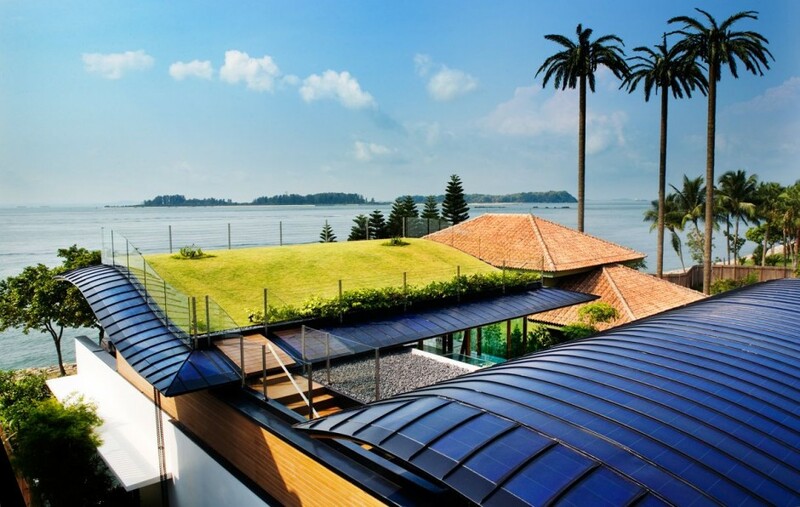 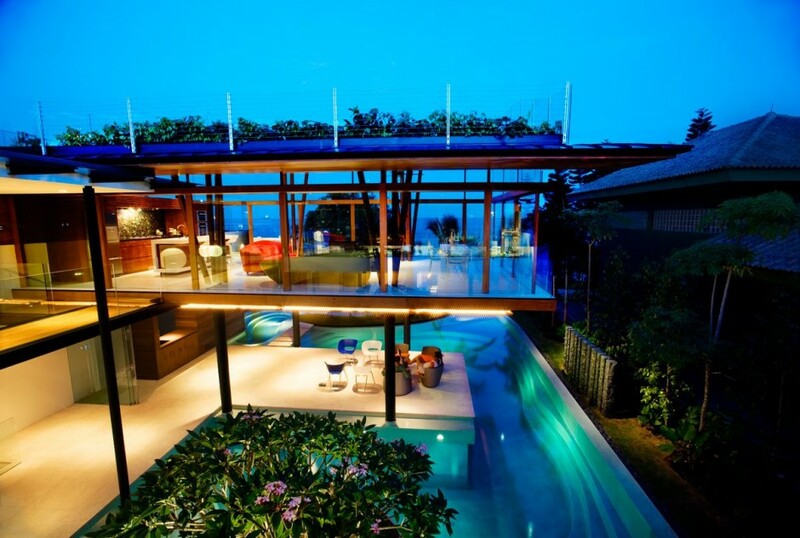 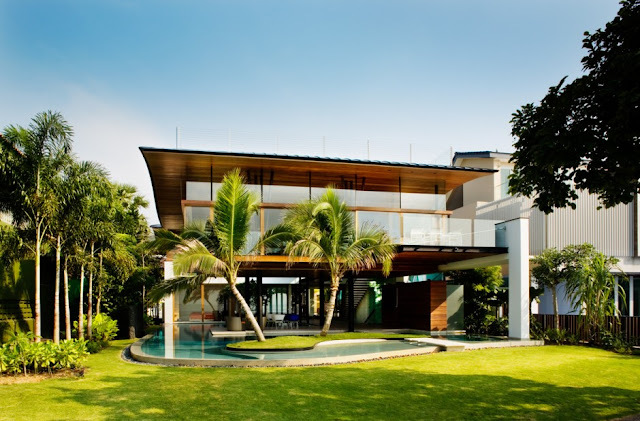 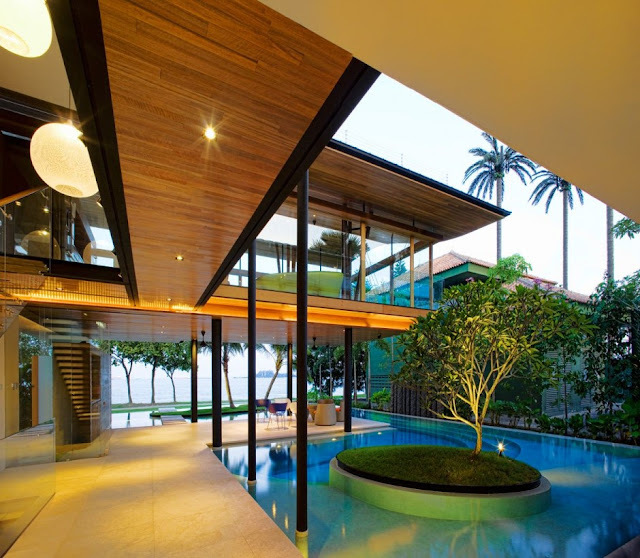 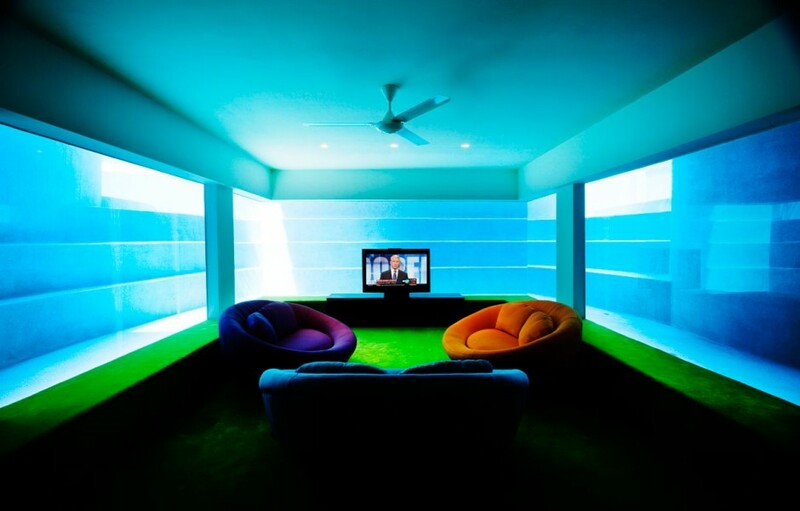 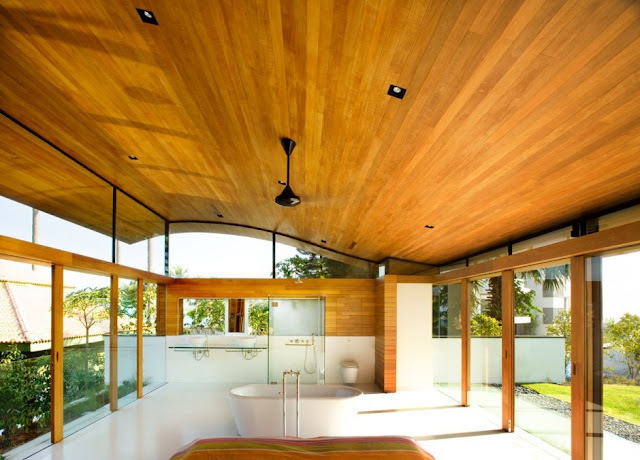 This modern luxury tropical house encapsulates the essence of living in the humid and hot climate of Singapore by creating open spaces which offer views to the sea and encourage natural ventilation. 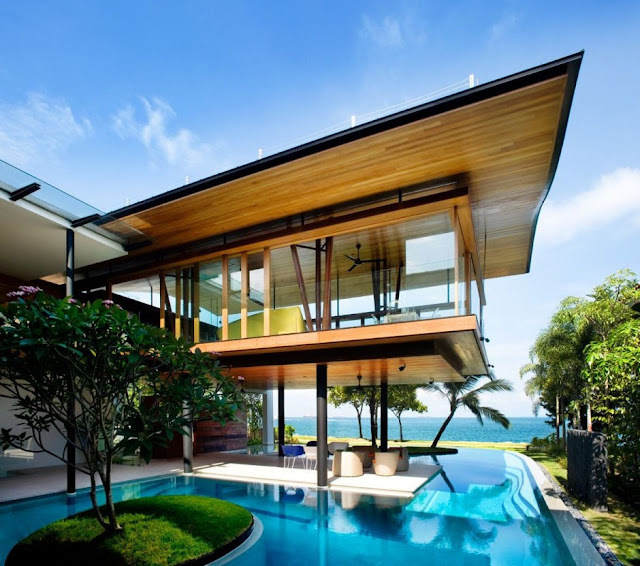 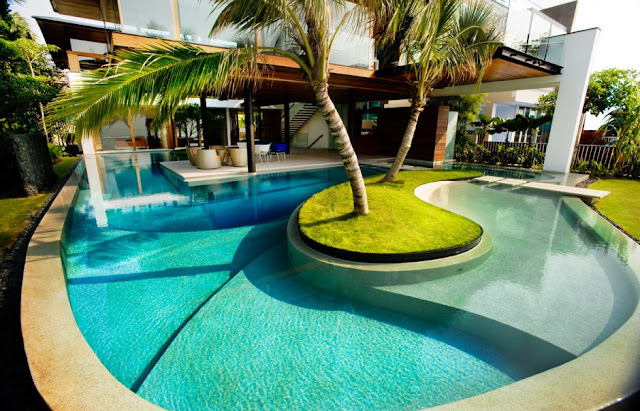 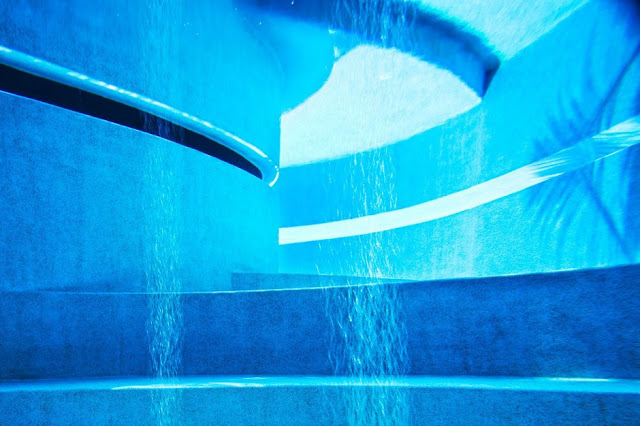 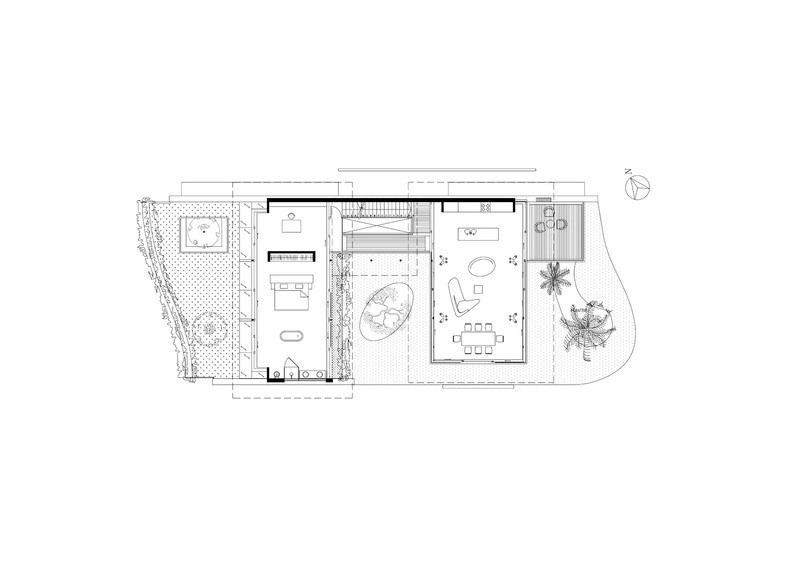 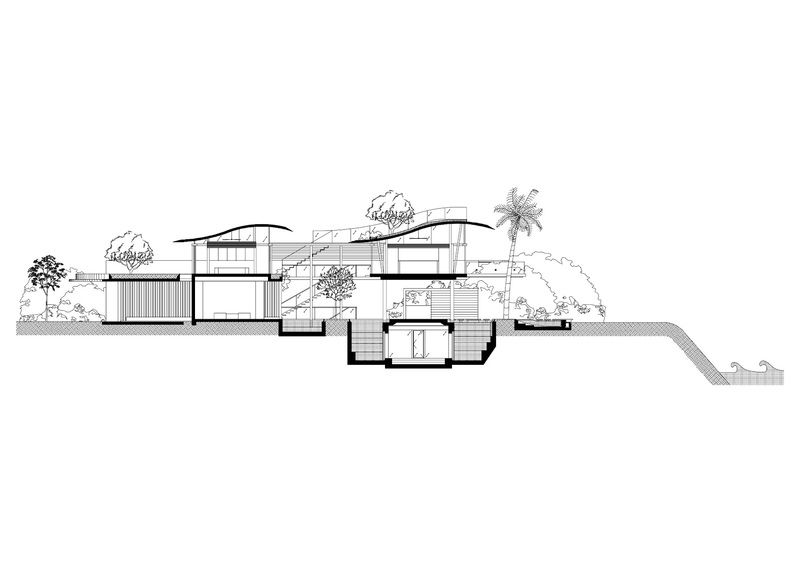 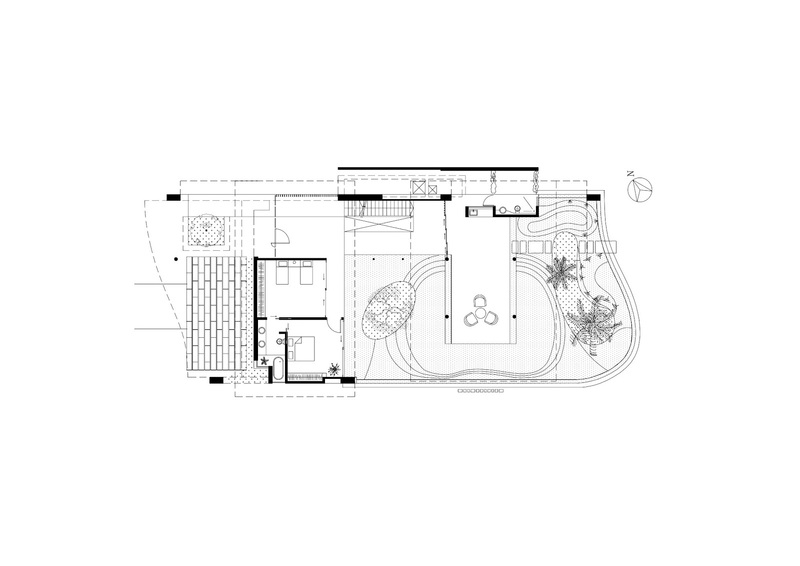 The main concept is to create a tropical house which has close connection with surrounding nature and this is achieved by having a visual connections with the ocean and swimming pool water linking with the landscape. 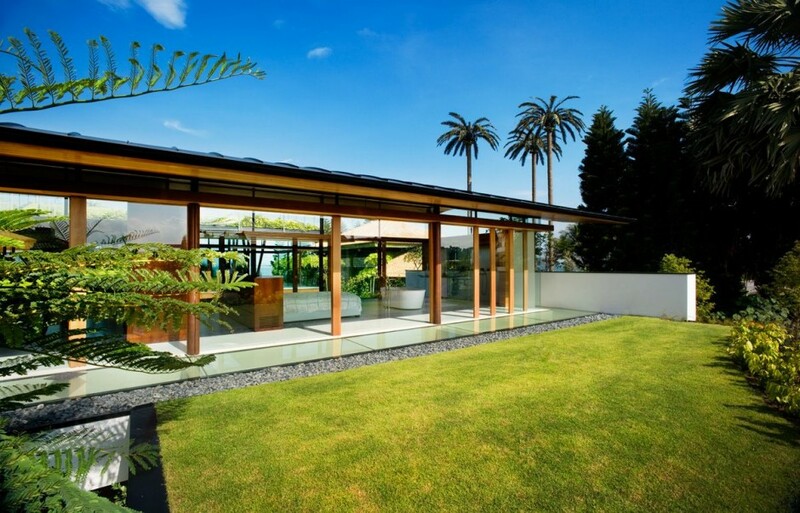 The luxury tropical house is a modern bungalow design which gives opportunities to live comfortably and in harmony with nature.